Be A Hand Model To Get Your Hand Model From These Guys! For those of you believe in capturing a moment of love in a permanent medium that is not a photo (or a regrettable tattoo), get it cast forever! 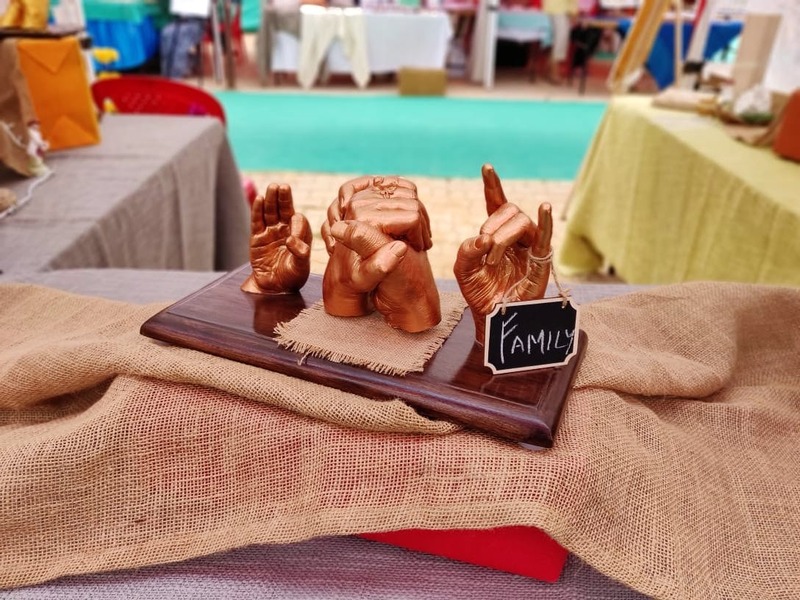 A great gifting option for shared events (or just for fun), Copy Paste Impressions specialises in hand (or feet, especially for babies) casting at the convenience of your home. Using a specialised casting material that’s safe for all skin types and babies, the team will come home with the entire kit and help you conceptualise what you want based on the number of hands involved. Once that is done they’ll make the cast taking anywhere between 15-45 minutes depending on the number of hands. The finished product takes about a week to make with all the carving, polishing, painting and framing if required. The price depends on the number and the position of the hands, but a single hand’s impression in a fairly simple pose costs about INR 2600 give or take. Framing and complex requests will come at an extra cost, so save that for a family hand-portrait or for a milestone event that deserves to be copy-pasted! The only way to contact them is on Facebook, or at Flea Markets.